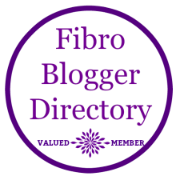 FibroMyArseAche: Is this a Fibromyalgia flare? 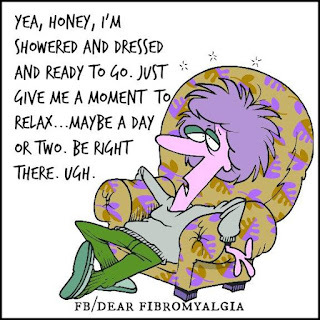 Is this a Fibromyalgia flare? I finally got diagnosed with Fibro in 2003 but had symptoms years longer than that. I was slow on finding support groups online and had no one else to discuss it with. One thing I did see people talking about was when they were having "Flares". I had no idea what they meant as I felt like death warmed up most days and everything was such a struggle. They said that they were unable to do anything and that is me everyday almost. Until this last week that is. We had to take our Daughter to A&E and had a 3 hour wait to see the nurse and then a wait to see the doctor. The chairs were not the most comfortable and there was a baby screaming the place down the entire time. I thought I had done quite well until I went to bed on Monday night and didn't get up till Wednesday morning! Then again went to sleep half way through Wednesday woke up for a bit then went to sleep till Friday spent all morning yawning and went back to sleep and missed yet another day!! I miss the odd day here and there but to be washed out for an entire week (and I still don't feel right this week either) has thrown me I must say. I already feel useless and this made me feel 100 times worse. It seems all I do is sleep these days and the least thing is a major struggle. So am I having a Flare and how long do they last? I'm sorry, this will sound selfish, but I am glad to have found your blog. Your story could easily be mine, i'm so sorry that you have it, but i'm happy for myself, in a weird way, that I now know I am not alone. I'm so proud of myself somedays just because I've showered and dried my hair, but i'm then in so much pain and tiredness that I can't go and do what I was getting ready to do ! Hi, I ran across your YouTube channel by looking up tumeric for FM. I watched your video, the one with the coconut supplements. I was laughing so hard at those pills!! They were HUGE!! I watched more videos about FM you posted and was hooked! I loved how honest and real you are. I know your pain, sister! I'm so glad I found you! !